Much like the far more common cow’s milk cheeses, ewes milk cheese are a wonderful contribution to a balanced diet, and not just for their outstanding taste. 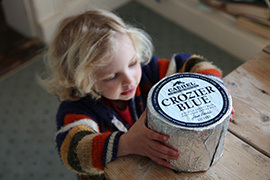 The obvious advantage is that, if you find that cow-related dairy products do not agree with you, ewes milk cheese, such as our Crozier Blue, can, in fact, be easily digested. And then we come to the all important vitamins and minerals (such as vitamins A and D,) sheep’s milk is packed with these, even more so than cow’s milk. 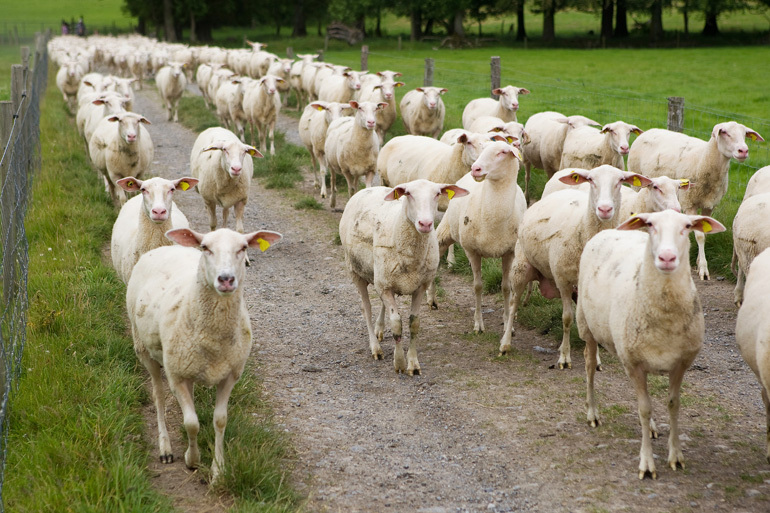 For more information on the properties of sheep’s milk check out benefits of sheep milk ». Just a quick note on the current hot topic with relation to the health benefits of food: SALT. As is common in life you could say “if it’s good, it’s bad for you.” However, when it comes to salt things are not quite so clear cut. Salt is a very important substance in our everyday life, and not just because it contributes to the taste. All cheeses contain a certain amount of salt, where, as well as adding to the flavour profile of the cheese, it also acts as a preservative, extending the “life” of a 100% milk based product. However, salt is a fickle beast: try living without salt in your life and you will soon note that your energy levels drop and that you become slower and slower at everything you do, too much salt in your life and you will be in trouble with your heart. As a general guide, try to avoid overly processed foods. 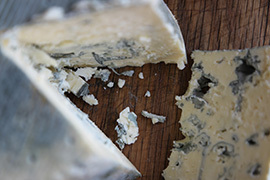 Farmhouse cheese is a natural food! 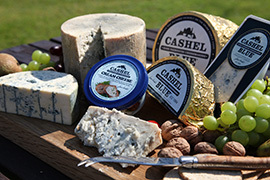 Our blue cheese contains less fat than a typical cheddar cheese.